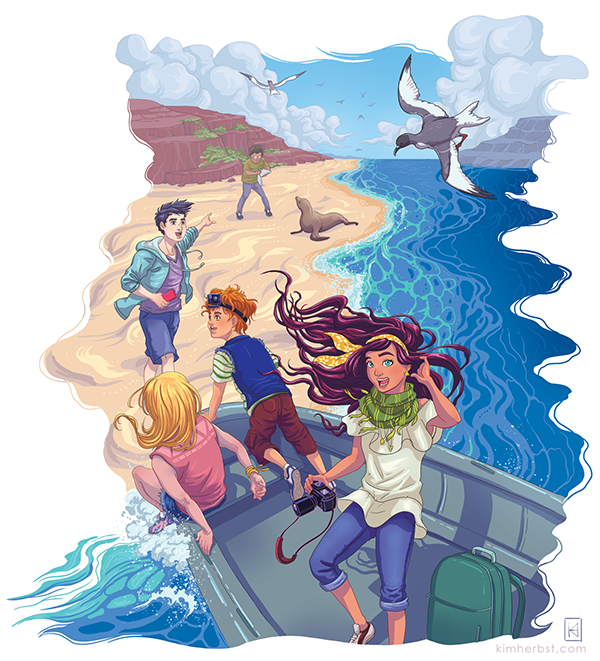 Lindblad Expeditions happened to spot my recent feature in Communication Arts and felt the art style could work well with a brochure geared towards kids of all ages. Their expeditions through National Geographic allow families to explore areas like the Galapagos, to learn about the habitat there, and of course to have fun. In the past, Lindblad always used stock photos for these brochures; this is the first time they’ve gone with an illustration!